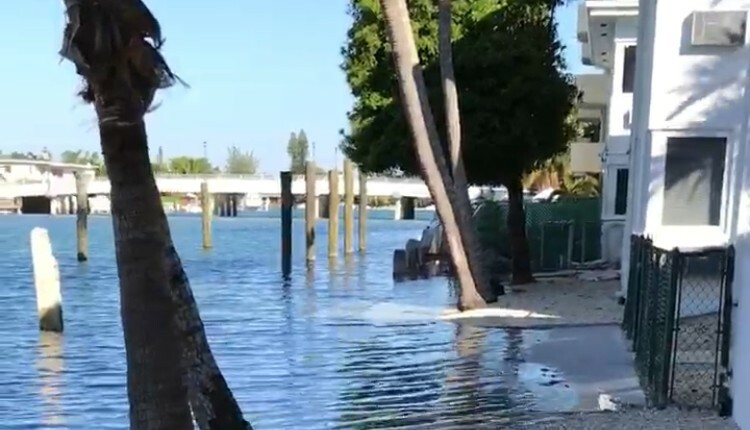 Miami Beach is leading the way on sea level rise adaptation strategies – and now the City has developed a proprietary calculator to help residents understand how their individual homes will be impacted by the elevation of their neighborhood roads. The calculator helps translate technical terms and measurements into inches, helping residents better visualize how raised roads relate to driveways and a home’s finished floor elevation. Bear in mind the City will “harmonize” elevated roads to private properties, meaning there will be a gradual slope from the road to a property. Note: Give this a little time to load. That said, I was able to open this through Google Chrome and Microsoft Edge, however, my Safari browser worked with the tool on my phone but not on my Mac. You will need an elevation certificate to use the calculator. If you do not have one, you can obtain one here. City Engineer Bruce Mowry and his team are meeting with homeowners to help them understand the impact of the City’s resiliency efforts on individual properties. To schedule an appointment, call 305-604-7080. There are also four open houses where you can learn more about the City’s road and stormwater pump projects, use the adaptation calculator with guidance from an expert, gain an understanding of the flood insurance program, and explore the science behind sea level rise.